light lemon vinaigrette. It makes a perfect meal this time of year! Spring has finally sprung and I've really been enjoying the beautiful weather we're having in Michigan. With this weather starts farmers market season, which I am so excited about! I love strolling through the market on a Saturday morning and picking up fresh vegetables from local growers to bring home to my family. 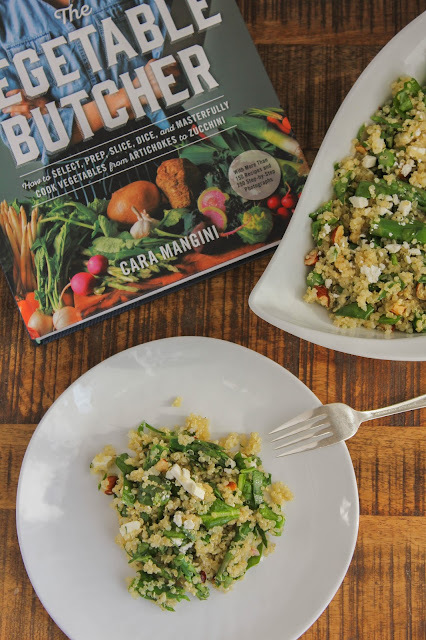 Speaking of fresh veggies, I'm really excited to share this amazing Asparagus, Hazelnuts, and Mint with Quinoa and Lemon Vinaigrette recipe from Cara Mangini's new cookbook, The Vegetable Butcher! Let me start off by saying it is a stunning and inspiring cookbook. 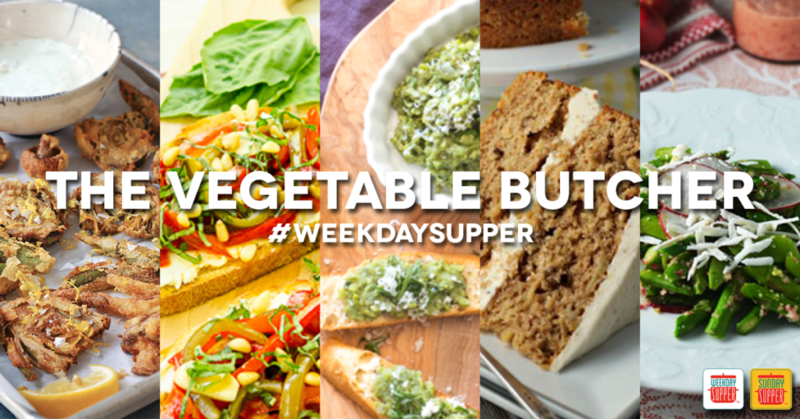 Cara shows us in step-by-step photos how to break down a butternut squash, cut a cauliflower into steaks, turn carrots into coins and parsnips into matchsticks, and so much more. There are more than 150 simple recipes that put vegetables front and center, from this dish, to Kohlrabi Carpaccio, to a Parsnip-Ginger Layer Cake for dessert. It’s everything you need to know to make extraordinary vegetable dishes! 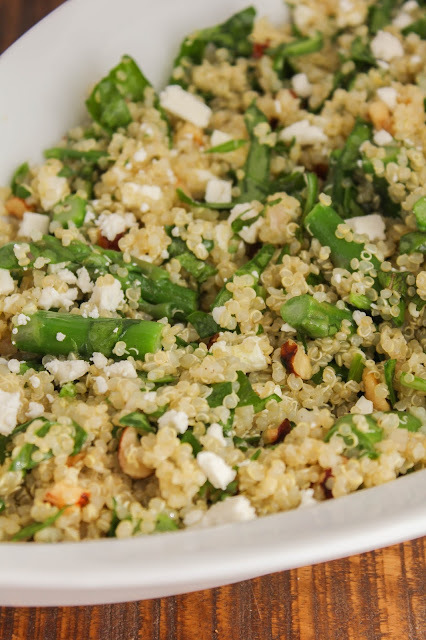 The dish I’m sharing today features fresh asparagus combined with quinoa, mint, and toasted hazelnuts, and topped with salty feta cheese and a delicious lemon vinaigrette. It's light yet filling, and is perfect as a main dish or a side dish. Cara Mangini, who comes from a family of traditional butchers, was one of the first official “vegetable butchers” at Eataly in New York City. 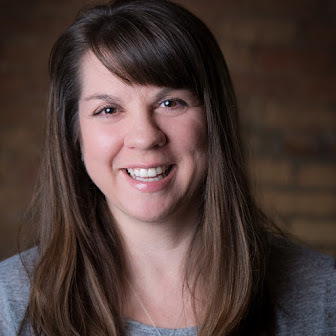 She is the owner and executive chef of Little Eater, a produce-inspired restaurant, and Little Eater Produce and Provisions, an associated local and artisanal foods boutique in Columbus, Ohio. 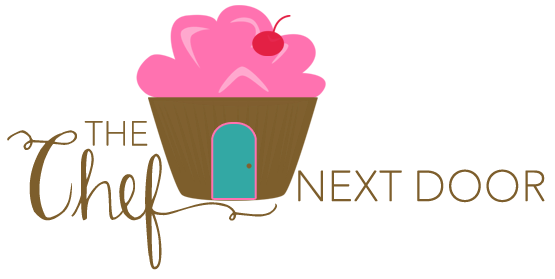 Be sure to check out Cara's website, follow her on Instagram, and check out the interview she did for Sunday Supper! Learn more about this beautiful cookbook on the Workman website. 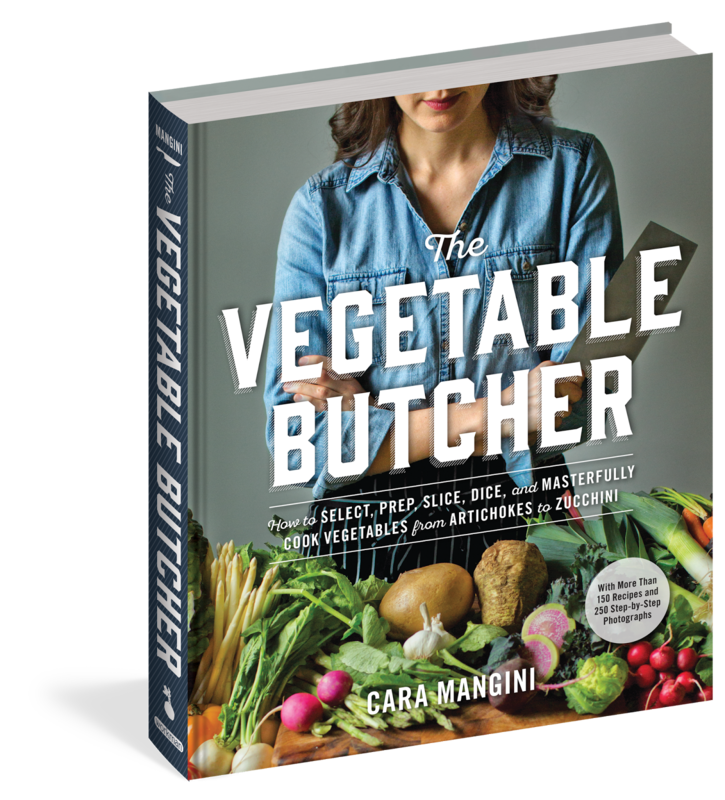 I'm also excited to share that I'm giving away a copy of "The Vegetable Butcher" to one lucky reader! Be sure to enter via the giveaway tool at the end of this post! Now, are you ready to make this amazing dish? Let's start cooking! Bring a large pot of salted water to a boil and place a large bowl of ice water next to the stovetop. Drop the asparagus in the boiling water and cook until they are just tender but still crisp (with some bite), 2 to 4 minutes, depending on thickness. Use a spider or slotted spoon to lift the asparagus from the water and transfer it to the ice water. Once cool to the touch, drain the asparagus well in a colander, then spread out the pieces on a towel to absorb any remaining water. Meanwhile, make the Lemon Vinaigrette and then add the shallots. Let the mixture stand. 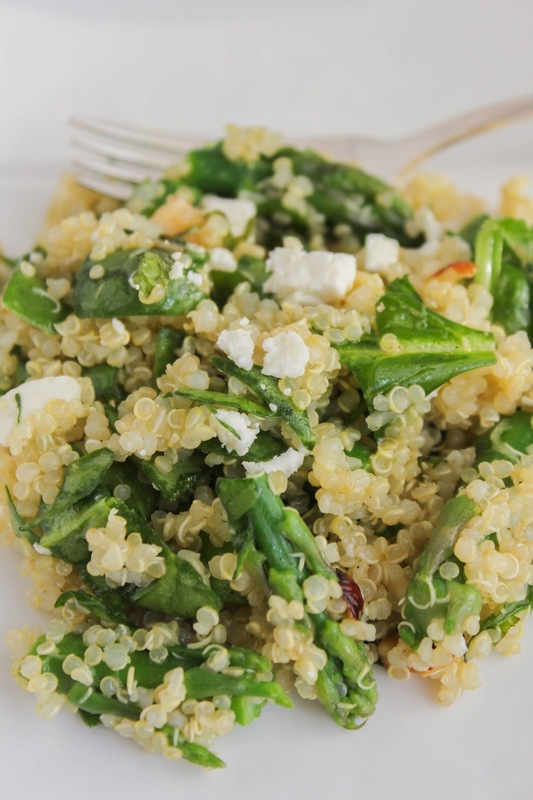 Combine the quinoa and asparagus in a large bowl. Toss with enough vinaigrette to coat all of the ingredients, about ¼ cup. 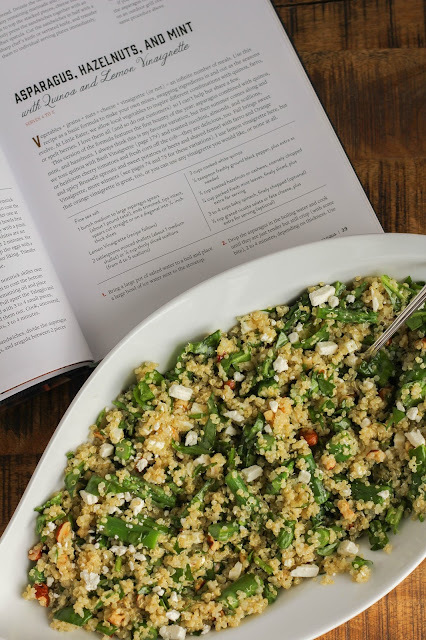 Add ¼ teaspoon of salt, ¼ teaspoon of pepper, the hazelnuts, the mint, and the spinach and ¹/₃ cup of ricotta salata or feta if you are using them; toss again. Adjust the salt, pepper, and vinaigrette to taste, and top with additional cheese and mint if you wish. Serve warm or at room temperature. Whisk together the lemon zest, lemon juice, rice wine vinegar, mustard, maple syrup, salt, and pepper in a small bowl. Slowly stream in the olive oil while you whisk quickly and constantly, continuing until the mixture emulsifies. More recipes to come this week!